Dear Right-Brain Entrepreneur…Does the thought of writing a business plan make you cringe? But you know you need a road map for your success? Your creativity can lead the way! 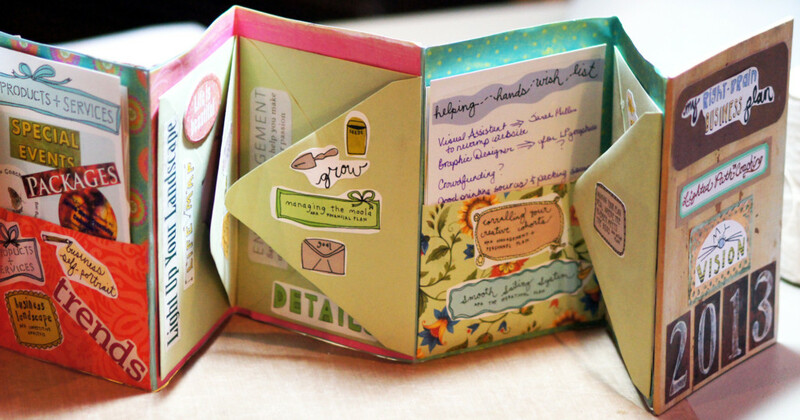 What if business planning could be fun, colorful, AND effective? I’ll share with you my empowering, intuitive, and accessible entrepreneur approach based on my best-selling book that has helped tens of thousands of creatives like you launch and grow their business. 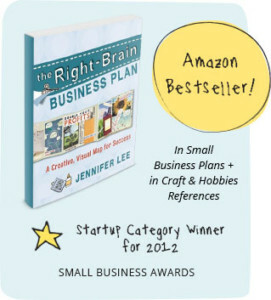 Join us for the Right-Brain Business Plan® Online Program. You’ll roll-up your sleeves and craft a visual plan that lets your head know where your business is going AND inspires your heart to sing with joy. Plus, since it’s a home study program, you get to start whenever you want and you get to do it all on your own time! Our course is currently full. Check back soon for the next program dates! Check with us before purchasing to see when the next program starts! You will get a 1-1 roll up your sleeves and get it done 45 min coaching call with Susan as a bonus for kicking off the program. This special price will *go up* to Premium level for $495 with this coaching offer, and the Basic level will be $395. So you get this 45 min coaching call for free! First payment Deposit; Second payment due 4 weeks after the program starts. First payment Deposit, Second payment due 3 weeks after the program starts, then Third payment 3 weeks after that. “Susan Miller is a warm, personable, supportive coach and an all around great human being! She was my Cohort Circle buddy and her Southern accent made me feel I had found a long lost childhood friend! As we have ‘grown up’ over the past few years in the RBBP community she has been a source of wisdom for me and has greatly assisted me in moving towards my artistic and business goals. And she was a great Shining Star Huddle leader – masterful at keeping us on track, and encouraging each of us to become more of who we are and how to tap into that inner wisdom. The total value for the Right Brain Business Plan® Online Program is $1569. 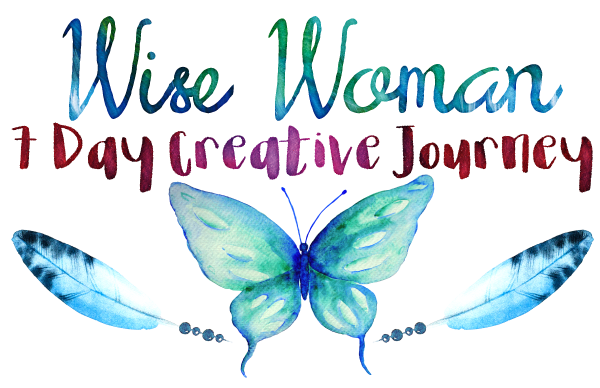 I am an Artist, Expressive Arts Therapist, Certified Creativity Coach and Certified Kaizen-Muse™ Creativity Coach, Right Brain Business Plan® Facilitator, Entrepreneur Coach, Life Coach & Artist. My passion is helping light the path of your life journey through coaching and facilitating luscious artful retreats and workshops that help light the path of your life journey. My heart is to help creative and heart-centered entrepreneurs find their inner voice and follow their true desires for their life and business. This journey needs to be filled with passion and joy, intuitive decision-making and practical, ease-filled strategies to get where you want to go. 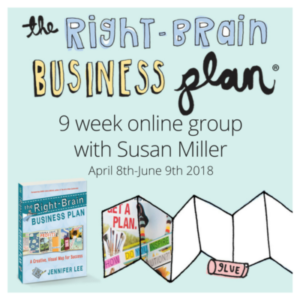 As a creative entrepreneur myself, I have found that the Right Brain Business Plan® online program has an awesome blend of the practical and the intuitive. And it really works! I have been a RBBPer since 2012, and as an associate coach with Jennifer Lee’s programs since 2014. I have coached and supported many creative entrepreneurs 1-1 and in groups, through Right Brain Business Plan® online programs, e-courses, and live workshops. The RBBP process is something that you will want to use over and over again, as you go through planning your business over the years. One of the best gifts you can give yourself is to be a part of a group of like-minded creative entrepreneurs, study and participate in a tried and true business planning system that helps you access your inner intuition and actually get your business started, revamped, or transitioned. There is nothing like it, and it is so easy and fun to implement. It is an organic creative approach to mapping out your business goals that creates inspired action-planning. I have experienced this planning strategy time and time again as I have gone through transitions in my work and pursuing a more creative, sustainable and ease-filled business. You can do this…and you will actually get excited and enjoy developing, changing, revamping or “whatevering” you want to pursue in your business. Even if you do not have a business but have a strong feeling inside about something you want to develop, you will find Right Brain Business Plan® Online Facilitated Home Study one of the greatest investments you will make. What’s the format of the e-course? You will have a special link to access to the Right Brain Business Plan® Home-Study materials, plus at the beginning of each week, you’ll receive an e-mail with links to that week’s assignments. 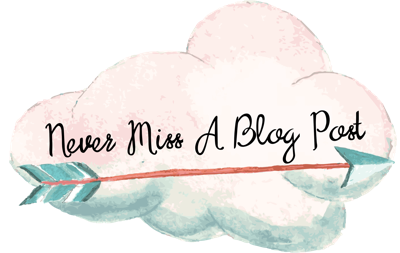 Each week will include a video, juicy reading materials, and creative exercises, plus some weeks will also have an MP3 audio file and fun playsheets (who needs worksheets when you’re doing right-brain business planning?!). You will also receive a mid-week and end-of-week check-in with additional exercises and suggested challenges. We encourage you to post your homework to our private Facebook group by the end of each week – not only will it help hold you accountable, but you’ll also get to be supported and inspired by your fellow creative cohorts. There is no “scheduled” time for “class” except for the 6 group calls (which will be recorded in case you can’t make it live), the 2 catalyst chats and the 2hr Mastermind. You can do all of the assignments on your own time. Anticipate spending at least 3-5 hours (or more, if you’re super gung-ho!) each week on the course. You can schedule your 1-1 45 minute Bonus coaching session with me anytime until TBA. You can contact us at mcs.receptionist@gmail.com to schedule this session. The private Facebook group will close a few weeks after the course concludes to give you some extra time to catch up on conversations and posts. Even after the course ends, you’ll still have unlimited access to stream the videos and download the reading materials. What if I don’t finish all of the assignments on time? The course is meant to jumpstart your planning process and to help provide a structure to guide you along. If you’re not able to complete all of the assignments each week, don’t stress out – you can do them all on your own time. 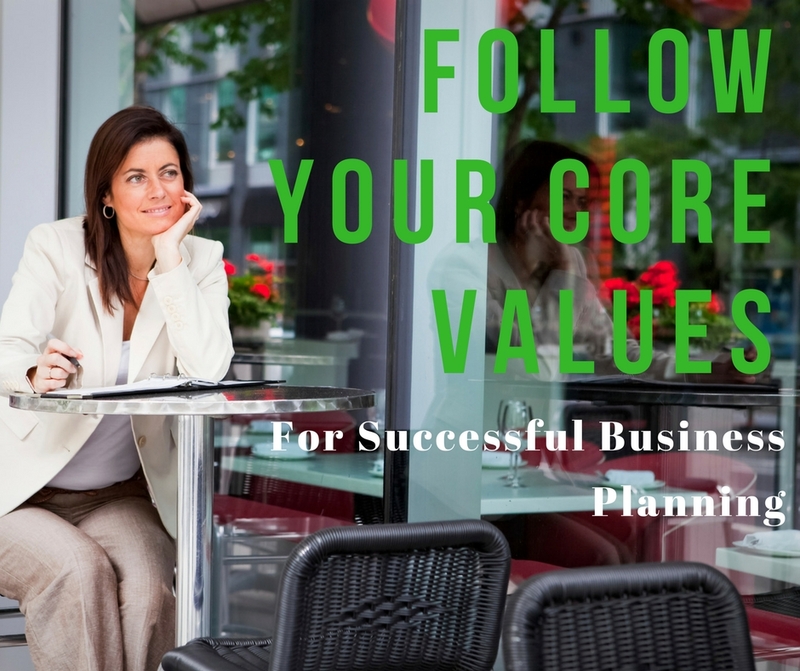 There will also be follow on opportunities to help you continue with your planning and progress, should you like a higher level of support at any time as you go along your business planning journey with my community offerings. Technical requirements: A computer, reliable Internet access, Facebook membership, and the ability to watch online videos, listen to MP3 files, and view PDFs. In addition, you’ll need a phone (land-line preferably) to call into the group conference calls and long distances charges may apply. We also recommend you print out the illustrated playsheets in color for maximum creative inspiration, so a color printer is ideal. You may want to have a digital camera or scanner to document and post your visual plan, but that’s optional. Supplies: We’ll be doing various creative activities, so here are the basic types of supplies we’ll use – paper, pens/markers, magazines, scissors, glue, Post-it Notes, but you’re encouraged to use whatever materials that inspire you! An open mind and willingness to have fun! What if I’ve been in business for awhile already or if I already have a business plan? 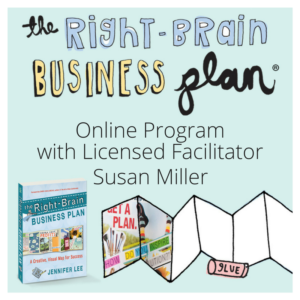 As your licensed Right-Brain Business Plan facilitator I will be supporting you in the course through the coaching calls, Facebook facilitation, and Catalyst Chats. RBBP creator and author Jennifer Lee will be delivering the recorded video teaching segments in the course modules. 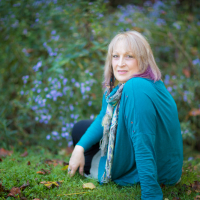 I’ll be your friendly companion and ally who will guide you through the creative business planning process and I’ll offer lots of passionate inspiration along with practical information. I’m there to answer your questions as best as I can, point you to additional resources, challenge you to stretch yourself, and facilitate group sharing and learning. Show up: Engage yourself fully in the process. Read the materials, watch the videos, do your assignments and post them on the forum, participate actively in the online community. The more you put in to this experience, the more you’ll get out of it. Be curious: Ask questions and be willing to try new things, learn, and venture outside your comfort zone. Offer feedback: If something isn’t quite working for you in the course, please let me know, offer a suggestion, and/or make a specific request and I will do my best to address your concern. This is a two-way street and we’re co-creating our experience together, so I invite your insights. What is the difference between the Right-Brain Business Plan book, kit, Home Study, and this facilitated online RBBP Group? 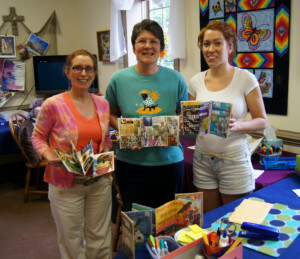 This online RBBP group is a facilitator-led program, whereas the book and kit are DIY. The regular RBBP Home Study version is self-paced with no leader responding to questions (as part of this program you will get access to the RBBP Home Study but I will be pointing you to the particular exercises each week and will be holding your hand all the way through). During the facilitated e-Course you can ask your burning questions and get online coaching from me, your leader. Plus, you can connect with a community of other creative entrepreneurs who are going through the same process you are. Valuable learning, sharing, and brainstorming happens between participants and you might even find new business buddies. It’s a lot easier to get things done when you have the structure, accountability, and camaraderie of a facilitated group. What if I can no longer participate in the course and need to cancel? The course registration fee is non refundable. And all payments are due in full. Before you sign-up, please make sure you’re fully committed to participating in and completing the course. If you need more information to help you make a solid decision, contact us with your questions. You can send an email to mcs.receptionist@gmail.com and someone from the team will be in touch. Thanks!